Over the last few years, we have come to know that not all fat is the same. As the name implies, stubborn fat is the type of fat that doesn’t seem to go away even with strict diet and exercise. For men, stubborn fat is usually found on the belly, love handles, double chin and even the chest. While most women are bothered with their thighs, arms, bra bulge and belly pooch. Basically, there are two different types of stubborn fat – visceral and subcutaneous. This deep fat is usually found around the abdominal organs such as the liver, stomach, and intestines. Those with a large amount of visceral fat can be seen with a large, hard belly. This is also commonly known as “beer belly” which is prone among men. Having too much visceral fat can be very dangerous to your health. It can increase your risk of type 2 diabetes, heart disease, stroke, and cancer. Moreover, visceral fat can cause an increase in blood cholesterol levels and it can also play a significant role in insulin resistance, which then heightens your risk of diabetes. The good news is, visceral fat is often responsive to good diet, exercise, and proper lifestyle changes. You can start slow by having a 30-minute activity a day. Consider simple cardio exercises such as walking, biking or swimming in your daily activities. As you feel more comfortable with your daily cardio, try incorporating strength training such as jumping jacks, lunges, push-ups or planks. As much as possible, avoid sugary drinks such as sodas, bubble teas or fruit juices as they are loaded with sugar. Drink more water or choose a healthier drink such as tea or coffee without sugar. Instead of fried food, consider baked or grilled. Avoid high in carbohydrates meals such as rice, noodles or bread. Eat more vegetables and lean meat. Add in moderate healthy fats in your diets such as olive oil, avocados, nuts or chia seeds. This type of fat is located just beneath the skin and is actually soft and pinchable. These are the pockets of fat that can be found all over the body such as the belly, chin, arms, buttocks, and thighs. Visceral fat is often responsive to a good diet, regular exercise, and positive lifestyle changes. This is not always the case for subcutaneous fats, mainly because of the number of receptors they have. Alpha- 2 receptors – Subcutaneous fats contain a higher density of alpha-2 (than beta-2) receptors, which hinder the fat burning. These are beneficial when storing energy for future use, but they can be the bad ones when it comes to losing stubborn fat. Subcutaneous fats also receive less blood flow and are more insulin sensitive. Beta-2 receptors – These receptors help in the release of the fat cells inside the body, which accelerate fat burning. Fat areas with high alpha-2 receptors and low beta-2 receptors include lower belly, thighs, and hips. This is one of the reasons why stubborn fat is very resistant to diet and exercise alone. Moreover, subcutaneous fat is stored as “pockets” of bulges around the belly, back, armpit, chest (for men), thighs and double chin which does not always respond well to exercise. And although subcutaneous fat is not as dangerous as visceral fat, having too much of it especially on the belly area can still increase your risk for high blood pressure, heart disease, and stroke. Similarly, subcutaneous fat can be reduced through diet and exercise. It starts by eating less calories than what you can normally burn as you exercise. This means eating a proper meal with less carbohydrates and sugar as well as developing an active lifestyle. However, for those pockets of subcutaneous fat that are stubborn to even the most vigorous of diet and exercise, there are safe non-invasive fat reduction procedures that can help to remove it, especially if you want to avoid liposuction or going under the knife. The term ‘non-invasive’ simply means there is no incision or cutting to the skin as well as nothing is introduced inside the body which is often the case for surgical procedures and typically involves long healing time (downtime). Hence, non-invasive fat reduction refers to the removal of fat from the body without surgery or downtime. Research shows that exposing fat cells to different levels of temperature trigger the process of natural cell death (apoptosis). This allows the body to naturally metabolize and flush out the dead fat cells which reduce the size of the area. Also known as a fat freezing procedure, Cryolipolysis uses freezing temperatures to reduce fat cell volume by exposing the subcutaneous fat. The cold temperature triggers “apoptosis” or natural cell death, which then slowly reduces the thickness of the area’s fat layer. CoolSculpting (by Zeltiq) – Made in the US, this FDA-approved device uses applicators of different sizes and delivers controlled cooling temperature to target fat in the arms, belly, thighs, and chin. It can also address smaller fats like a bra and knee fat. Z Lipo (by Zimmer) – Made from Germany, this device also uses cold temperature to target fat bulges in the arms, thigh, and belly. One unique feature of Z Lipo is that has two built-in applicators in the device that can treat two different fat areas at the same time. This reduces the overall fat reduction treatment time. Both devices use Cryolipolysis and the differences of CoolSculpting and Z Lipo are similar to how some people prefer to use a certain brand of the smartphone over the other. Both works but some people have their own preferences. Another non-invasive fat reduction is the Vanquish by BTL. This procedure treats and targets stubborn fat by using an FDA-cleared selective radiofrequency (RF) technology. This device safely heats fat resulting in inch lose of your belly, arms and thighs without going under the knife. Vanquish works by delivering selective heating to disrupt fat cells, which will then result in fat cell shrinkage and elimination. Its effectiveness can be attributed to the science of impedance or the resistance of fat to heat compared to other body tissues. This causes the fat cells to absorb more heat, which then helps in triggering the process of natural cell death. One great thing about Vanquish is that it can treat the body without any contact to the skin, as the device just hovers over the area of concern. It can target and kill fat cells. without affecting the skin or the muscles. Visit this link to find out more about Vanquish. 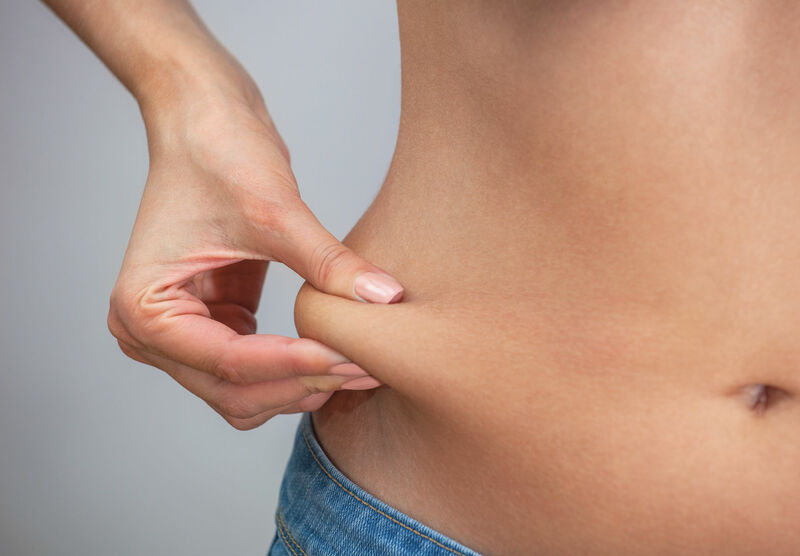 According to research, combining Cryolipolysis with Shockwave, a non-invasive vibration procedure that further break down fat cells, help to further improve fat reduction results. Acoustic Shockwave is a safe procedure that uses a handheld device that harnesses the energy of targeted vibrations to break down the fat cells. This helps in getting rid of excess fats and toxins and stimulates collagen production. At Cutis Laser Clinics, we have two devices that use shockwave: BTL X Wave and Zimmer Z Wave. Both transmit acoustic waves, which then cause vibrations and pressure to the connective tissues to disrupt the cells. When combined with Cryolipolysis or Vanquish, both X and Z wave shockwave therapies can speed up and improve your results. For those who are bothered with stubborn subcutaneous fat that doesn’t budge even with intensive exercise, consider these non-invasive fat reduction procedures. To know which procedure is suitable for you, schedule your Body Assessment and our certified Body Sculpting therapists will do a 360-degree assessment to propose the optimal treatment plan for your particular concerns. At that time, total investment will be discussed with you and we will try our best to create a program that suits your expectations and your budget. Contact Cutis Laser Clinics today and schedule a consultation and body assessment with our Harvard-trained aesthetic doctor, Dr. Sylvia Ramirez, and find out if which procedure is most suitable for you.